Damien Labrousse (AKA Legodrome just posted pictures of a piece he built for CNES, the French Space Agency. 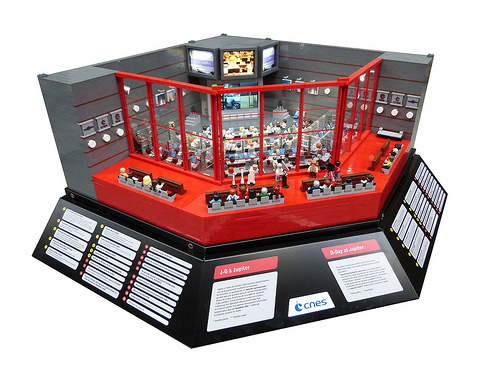 Two control rooms were built for display and include a working screen and sound system. I just love the clean lines of this build but my favorite detail has to be those adorable little rocket models next to the speaker. Awesome!